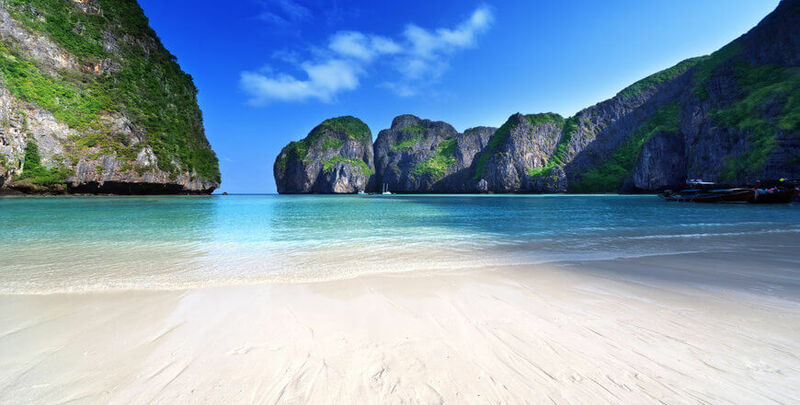 Cover all famous island tour of thailand in 6day and its very famous among honeymooners, mail attraction of this tour is Phi Phi island day tour. The Phi Phi Islands are an island group in Thailand, between the large island of Phuket and the west Strait of Malacca coast of the mainland. The islands are administratively part of Krabi province. Phi Phi island is called as superstar island of Thailand and Its been in several movies and quite popular in among traveller from all across the world. Enjoy an early breakfast and enjoy the day at leisure.Today we recommend you to book poda 4 Island tour (at additional cost) take you on a tour to the four most beautiful Island around Krabi. If you enjoy swimming or snorkeling, this will be an ideal way for you to spend your day. If not, you can enjoy the beauty that krabi and it's surrounding islands have to offer.​ Overnight at Krabi. Today, you head to ​P​huket via big boat . ​If one is interest in Scuba, you could opt to do the same in the morning slot (at an additional cost). Phi Phi is one of the best places to do scuba as you get really good marine life sighting here. Please do make sure that you book this tour with us in advance so we can assure you get a slot as per your desired timing.​ Evening is at leisure in Phuket. Ove​rnight at Phuket.